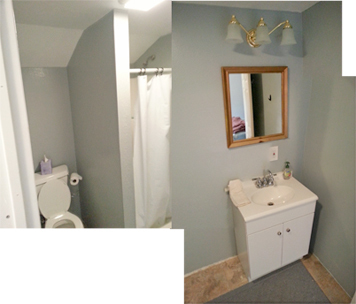 This is a renovation completed for a homeowner. 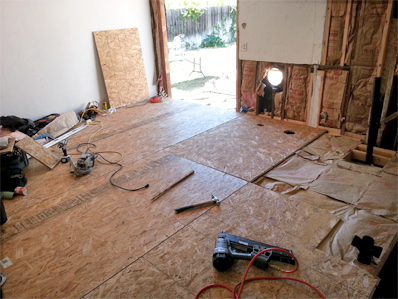 Turning a garage into a studio apartment. 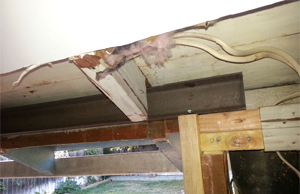 Joists, flooring, plumbing, electrical, needed to be installed. 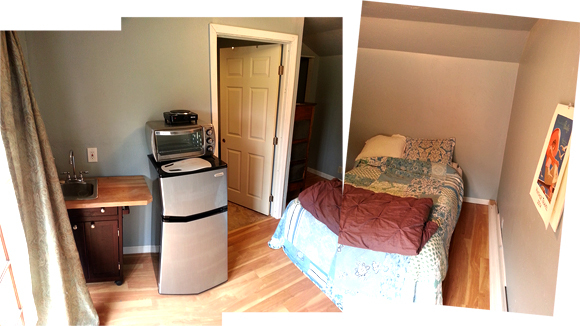 The doorway was altered to fit a set of french doors, and the sink counter was a large cutting board modified to mount a small sink. 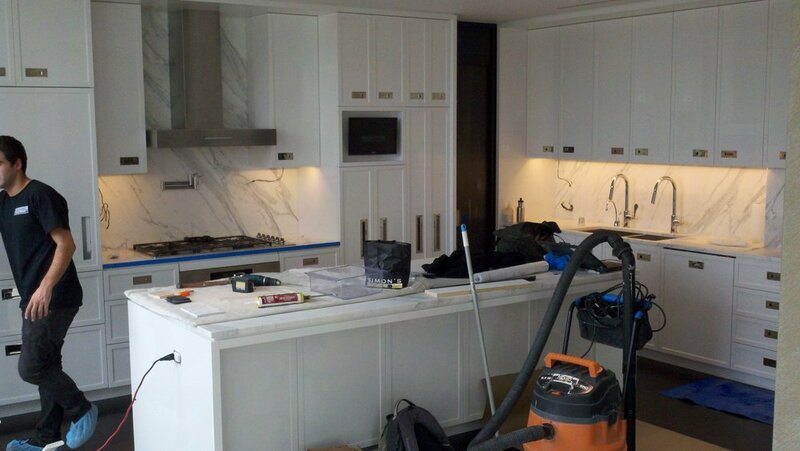 For this high gloss kitchen in an apartment next to Central Park, I built and installed all the doors. 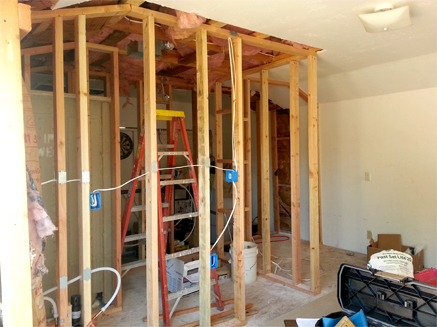 Worked with an installer to get the stove, pocket doors, and siding up as well.